May is Caregiver Awareness Month in Nova Scotia. This year, in recognition of all family and friend caregivers do for their loved ones and communities, we've created a new section of our website dedicated to helping raise awareness. Click the menu options at the right for impressive facts and figures about caregiving, information on support, a list of library resources for caregivers, and more. 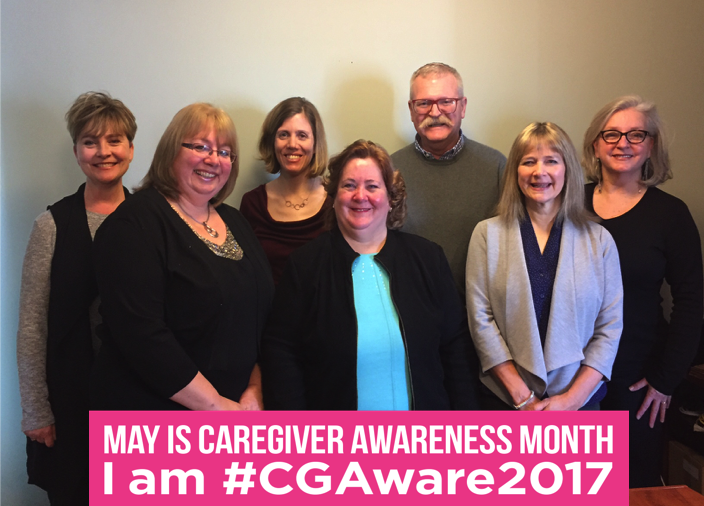 We're encouraging everyone to show their support on social media by using the hashtag #CGAware2017. You'll be able add a frame to your profile picture on Facebook. Log in to your Facebook account and search for 'caregiver' in the photo frame feature. Turn on the frame for a day, a week, or for the entire month of May. We're glad you're here. Come back often as we will be adding new content regularly.